This page refers to the form of Extra Draw keno where the player gets two extra balls for the price of his original wager. The more common form of this game grants the players three extra balls. It should be emphasized that this page addresses the lesser-known version of two extra balls. I found such a game at the Holland Casino in Amsterdam and somebody asked about the game, at an unspecified location, in my forum at Wizard of Vegas in 2010. 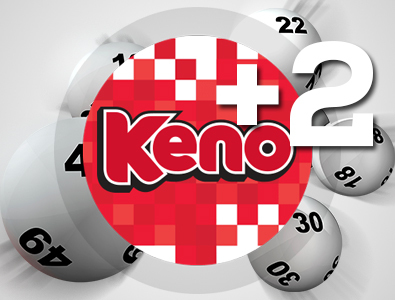 In the version addressed on this page, Extra Draw Keno plays like conventional keno, except after the ball draw the player may purchase two more balls for the price of his original wager. The option is not offered if it is an extremely poor bet. The player wins according to the final ball draw, whether he chose the extra balls or not. Following are two pay tables that I know of. Let me explain some of the rows in the tables. Examples are based on pay table 1. Return: This is the ratio of the amount the player can expect to get back to his original wager. For example, the 97.21% for the pick-6 means that for every initial bet the player makes, he can expect to get back 97.21% of it by the end of the game. Another way to look at it is if he played 100 initial wagers at $1 each, then he could expected to lose 100 × (1 - 0.9721) = $2.79. Strategy: This shows with how many catches after the initial draw the player should pay for the extra two balls. For example, for the pick-6 it shows "345." This means that after catching 3, 4, or 5 balls it is a good value to buy the extra balls. For any other number of hits, don't. Avg. bet: This shows the average bet per game, including the bet for the extra balls. For example, for the pick-6, the average bet is 1.161453. This means that the player will buy the extra ball 16.1453% of the time, for an average final bet per game of 1 + 0.161453 = 1.161453. E of R: This stands for Element of Risk. This is the ratio of the return to the average bet. In other words, the ratio of money returned to the player to all money bet, including on the extra balls. This, I feel, is a better measurement for the value of the game than the return. The following Pay Table 1 I saw at the Holland Casino in Amsterdam on July 19, 2017. The following Pay Table 2 was mentioned in my Wizard of Vegas forum. The location was not specified.